Clematis, also known as leather plant, is a climbing vine flower with over 300 species ranging from different colors to different looking flowers. This plant is great for anyone looking to grow a vine plant, whether on a balcony, on a garden fence, or just a trellis. These beautiful flowers are truly showstoppers when they bloom and they also help provide privacy! Want to learn more about how to grow clematis in your garden? 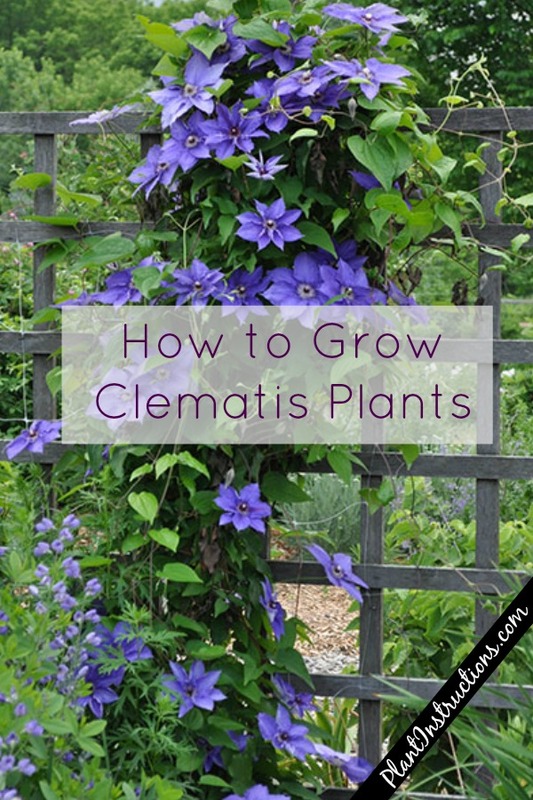 Keep reading below for our easy to follow clematis gardening guide! When planting clematis, you should be extremely careful and gentle with its roots as they are very fragile. If your plant has a very small trellis in the pot, consider having someone help you pull it out gently. Dig a hole (preferably near a fence, balcony, or trellis – somewhere where the vine can climb) that’s about twice the size of the root ball. Place the plant no deeper than soil level. Water regularly, but don’t let the soil dry up completely or have it waterlogged. 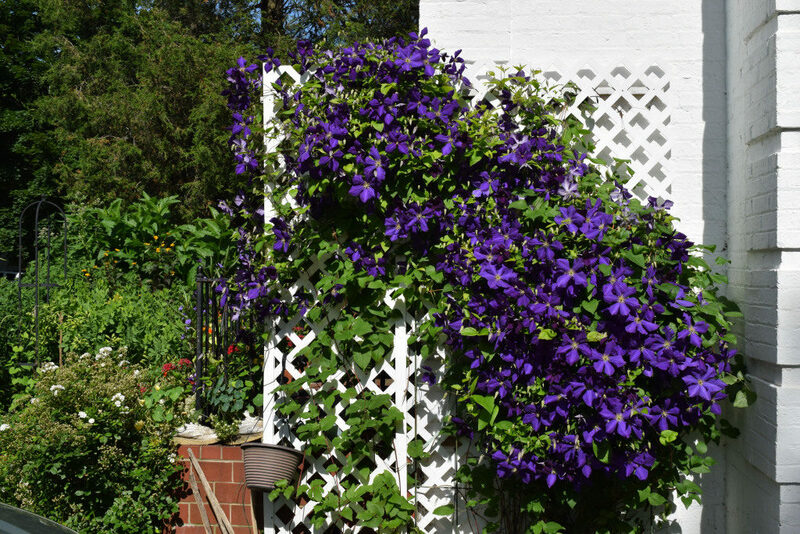 Feed your clematis once per season in the spring with an all purpose fertilizer. Once the plant matures, prune regularly to get rid of dead stems and encourage healthy growth. Different varieties of clematis will bloom at different times, so be sure to read the label before pruning. 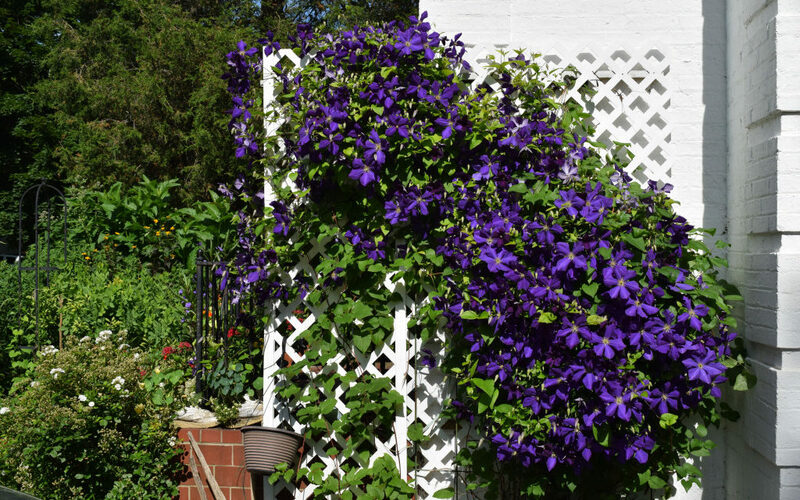 A good rule of thumb is that if a clematis blooms early in spring, prune it right after that. Mulch around the plant to keep the soil moist and cool. If you live in a smaller space, you can also choose to grow clematis in a pot. Choose a large enough pot and place a trellis in the pot or place the pot in an area where the vines have something to climb up on. Clematis plants are perennials, so they will bloom every year, but it will take them 2-3 years to flourish as they have extensive root systems which need to be established first. Be patient, because once they do flourish, you’ll have beautiful vine flowers year after year! So now that you know how to grow clematis, it’s time to roll up your sleeves and get to planting! How to Grow Clematis in Your Garden was last modified: July 6th, 2018 by Aniela M.
Next8 Best Indoor Growing Vegetables You Can Plant Right Now!